Me. A blogger who hasn’t even completed a year in this blogging world. Never reached out to anyone remotely well known. Have a handful of readers and followers, some of whom are just coerced into reading what I write. Her. A New York Times best selling author. Also a National Indie bestselling author. A book with an ‘amazon best book of the year’ to her credit. On book tours and media events throughout the year. Gearing up to publish her next book. But, as luck would have it, Sandhya was absolutely amazing, and I was able to ask her a few questions for you all. I loved her responses! A massive thanks to Sandhya for taking the time out to talk with me and my readers! I read that you moved to the US at the age of 15. What kind of challenges did you face as a teenager in the US, with Indian immigrant parents? Sandhya: It was really hard to adapt to a new country/culture right in the middle of my high school career. The funny thing was, once I got used to things, I immediately began to adopt American culture, much to the horror of my parents! I struggled a lot with finding the right balance of Indian and Indian-American as I grew up, and also with finding people who understood that struggle. Thankfully, I did find a core group of friends who helped me along. In keeping with the theme of this book, did your parents ‘introduce’ you to your husband? And were there any similar ‘Shah’ and ‘Patel’ moments that they schemed? In your book, Rishi (the obedient son), was planning to go to MIT, to please his parents, instead of pursuing his passion of comics. Were your parents inclined that you pursue something other than writing? Were you headed in another direction, before you pursued your choice of career? Sandhya: Absolutely. Rishi’s struggles as an artist totally mirror my own struggles as a writer. My parents were adamant that I find a “real” career, which is why I went to college and majored in psychology. I even did a couple of years of graduate school in clinical psychology before leaving to focus on writing. Dimple’s favorite childhood classic was ‘A wrinkle in time’. Is that yours as well? I love Dimple’s mom! I think Kiron Kher would be fabulous in this role! If Dimple and Rishi were to be sorted into Hogwarts houses, where would they end up? Sandhya: Dimple: Slytherin or Ravenclaw, for sure. Rishi: Hufflepuff all the way! Who are your most admired authors (including authors from the Indian subcontinent) ? Sandhya: Arundhati Roy, Sophie Kinsella, Margaret Atwood, Jenny Han, Angie Thomas, Nic Stone, Rabindranath Tagore, Khalil Gibran, Stephen King, and so many, many more! The very cute back cover of ‘When Dimple Met Rishi’. Sandhya Menon’s new book From Twinkle, With Love comes out in the summer of 2018. 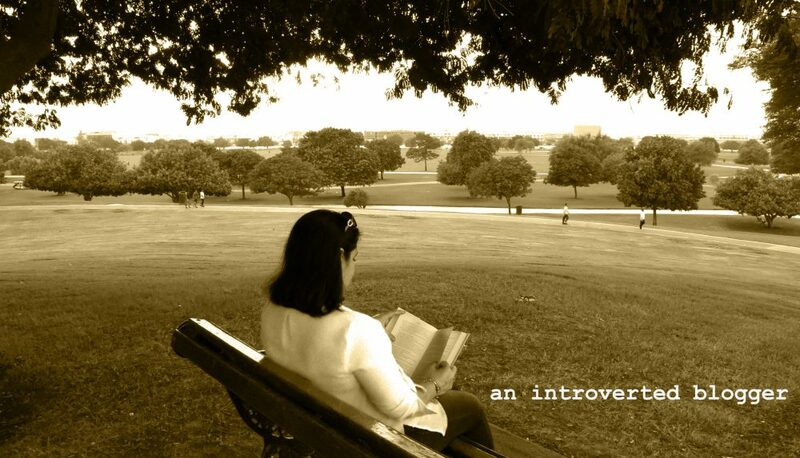 This entry was posted in Reviews and tagged author, author interview, book, book blogger, book review, reading, Sandhya Menon, when dimple met rishi by An Introverted blogger. Bookmark the permalink. Did you get her books from here Nadia? I have someone going to Mumbai next week otherwise. I got her book from the US. I think the collection of books in Doha is very limited in Jarir or Virgin. This is so fun! What a great interview! I have not had an author yet, turn me down. Now I have a couple who haven’t gotten back to me, but oh well. Authors are really nice people. This was a good interview. I have to look up Gulab jamun-flavored cupcakes. I have never heard of this. But I’ve never met a cupcake I didn’t like. This was my first time, so I was fairly hesitant. But I am so glad I reached out. Good luck with the gulab jamun flavored cupcake! Thanks! I’m so glad she agreed to answer a few questions for my blog. And I need to read this book simply because Rishi would be a Hufflepuff! Such a fun interview. Definitely! She has sorted them perfectly! Such a great post! I loved reading the interview! Sandhya sounds so down to earth and I can relate to her so much about choosing writing over what I went to school for. It made me feel like I’m not alone. Exactly! Even about her moving to the US from India during her teen years, is what many teenagers may have faced. Very realistic and honest. cute post start to finish! I love how she supported you as a less well known blogger. I’m one of those too and I appreciate every comment, like or follow I get so this is great to see. She seems like such a down to earth person and I loves your interview questions. It was my first time composing questions for an author. But I’m glad they turned out well, and more importantly her responses were great! Loved this. Great interview. She’s sounds down to earth and lovely. I agree! She was lovely!